They’ll be sipping out of these custom tumblers in no time – 24HR! 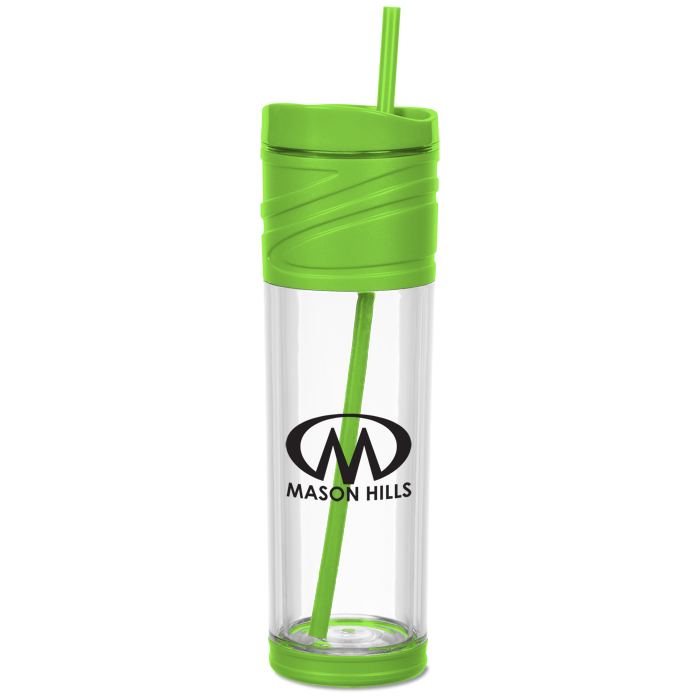 At the gym, in your kitchen or at the office, this imprinted tumbler is the perfect, stylish addition to your water bottle collection. 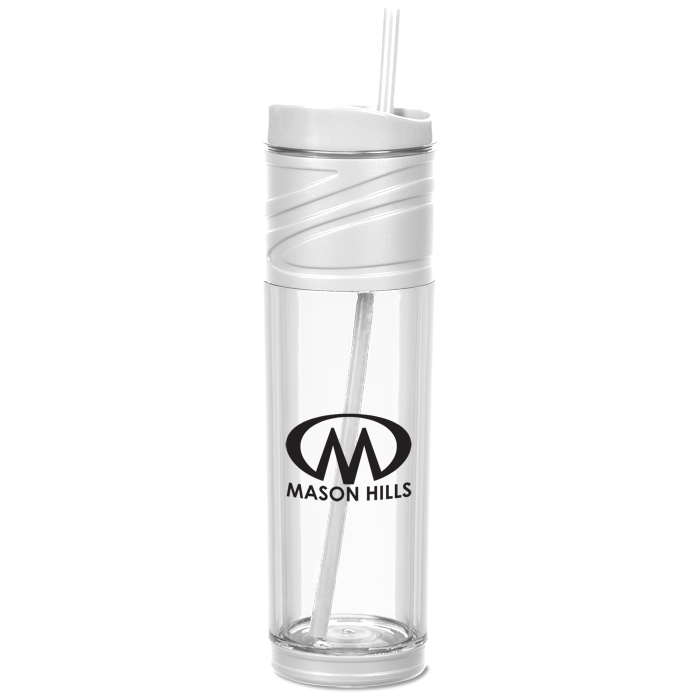 Durable clear acrylic and polypropylene material make this the ideal tumbler to beautifully show off your logo, and it allows you to see how much beverage you have left. Double-wall construction keeps the tumbler at the perfect room temperature and prevents condensation from forming. A colored push-on lid adds that pop of color you desire and comes with a color-coordinating bottom and removable straw for drinking ease. Lid features a twist closure to prevent any spills or leakage. The straw’s gasketed bottom prevents it from accidentally slipping out. Your price includes a one color wrap.